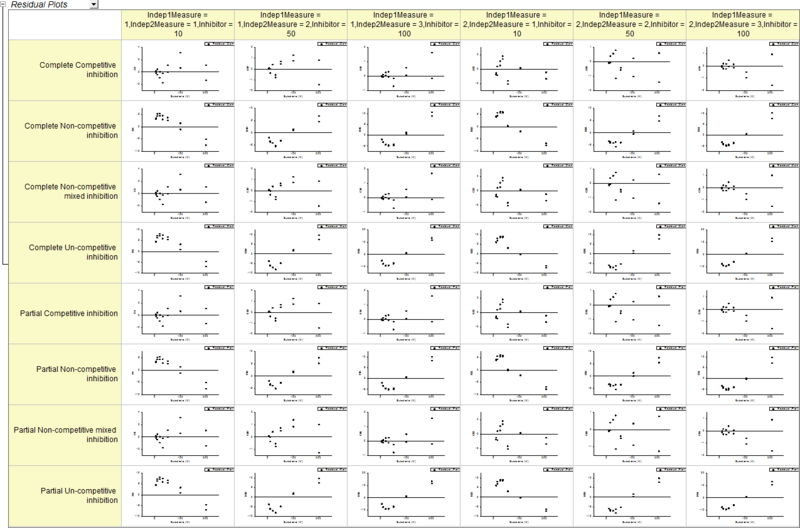 Fit the data with proper models. 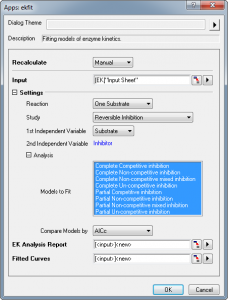 Prior to performing the fitting process using the Enzyme Kinetics App, the data should be well-organized. When you click on the Enzyme Kinetics icon in Apps Gallery, a dialog opens with settings for your input data. There are two independent variables in the above example. 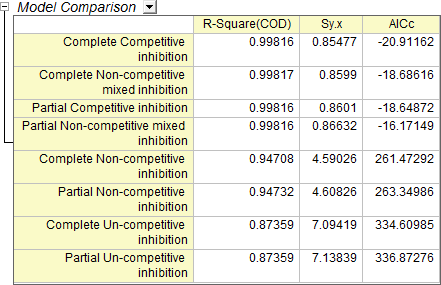 The values of the first independent variable should be stored in the X column, while the second are in the corresponding row labels named Indep2 Value. The fitting process created 2 sheets: EK Fitted Report, and EK Fitted Curves. 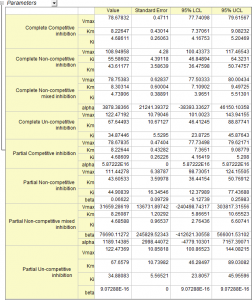 The sheet EK Fitted Curves stores the data for graphs in EK Fitted Report. 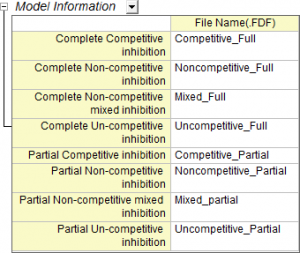 Model Information: this branch reveals the fitting functions used in particular models. 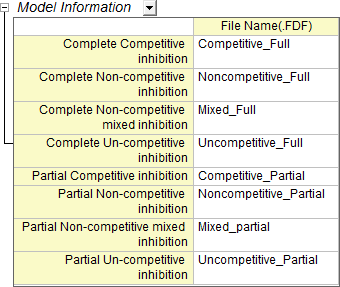 You can find them in the Enzyme Kinetics category when fitting using the built-in tool Nonlinear Curve Fit tool (Analysis: Fitting: Nonlinear Curve Fit). Parameters: this branch shows the fitted parameters of each model, including the Value, Standard Error, 95% LCL, and 95% UCL of each parameter. 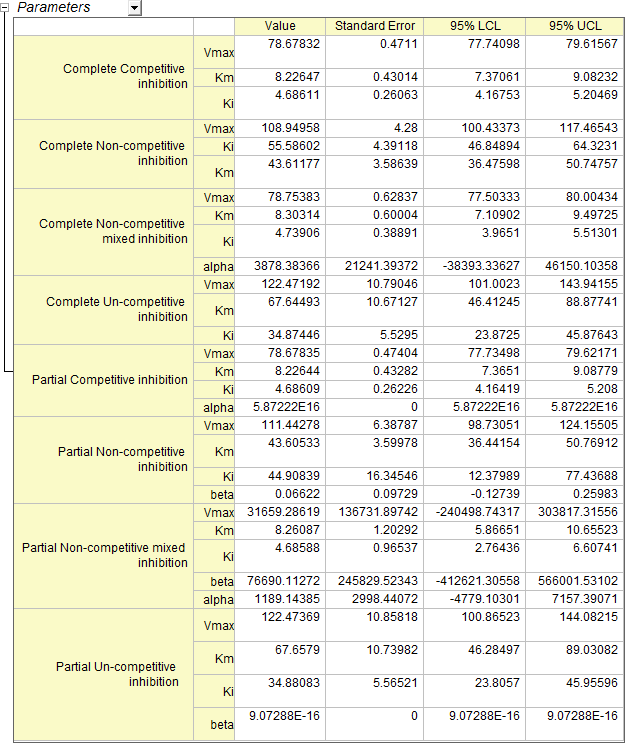 Statistics: this branch stores the Number of Points, Degrees of Freedom, Reduced Chi-Sqr, R-Square(COD), Adj. 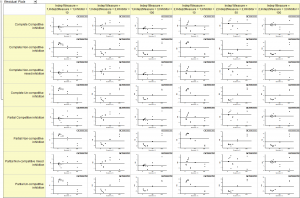 R-Square, and Fit Status of each model. Model Comparison: this branch sorts the AICc values of models, by default . The smaller the AICc, the better the model. R-Square(COD) and Sy.x are also listed in this branch. Fitted Curves Plot: this branch displays the scatter plot of the original data and the line plot of the fitted curve for each model. One graph for each model. Residual Plots: this branch compares the residuals of each model. For each measurement of a model, a scatter plot with a line at y = 0 will be created.